What is a Trap Primer? And Why is it Required? You are here: Home / Plumbing Posts / What is a Trap Primer – and Why is it Required? Were you ever in a building that had a putrid odor? More than likely it was sewer gas emitting from a floor drain. All plumbing fixtures, including floor drains, are required to have traps. A trap looks like a “U” shape pipe. If you look below your kitchen or bathroom sink, this will give you an idea of what a trap looks like. A trap is simply a fitting that provides a liquid seal to stop the emission of sewer gases. However, there needs to be water draining into the trap to create the liquid seal. Bathroom sinks and kitchen sinks are normally used daily; however, floor drains may not receive liquid drainage for months. Without liquid frequently entering the floor drain and trap, the liquid seal in the trap will evaporate over time, and sewer gas will emit from the floor drain. Prior to the invention of the trap primer, people would periodically pour water into floor drains to maintain the liquid seal. A trap primer is a device that causes a small amount of water to drain to the trap via piping from the trap primer. For a water-supply-fed type trap primer, this happens automatically, based upon a water pressure drop when there is flow within the potable water piping system, such as using a sink faucet, flushing a toilet, etc. Another type of trap primer can flow water from the potable water system to multiple floor drains/traps. This type of trap primer consists of an automatic timer, electric solenoid valve, vacuum breaker, and a piping manifold with valved outlets, which are each piped to a floor drain trap. Plumbing codes require that trap primers be provided for “emergency” floor drains and other traps subject to evaporation. An example of an “emergency” floor drain is one in a toilet room. Trap primers must conform to ASSE 1018 or ASSE 1044 standards – ASSE stands for the American Society of Sanitary Engineering. More recent plumbing codes have added a trap seal protection device as another method to protect the trap seal against evaporation. A barrier-type floor drain trap seal device can be installed in floor drains. It is an elastomeric type check valve/flapper that opens to allow water to flow and closes in a no-flow condition to prevent trap seal evaporation. This type of device must conform to ASSE 1072, and may be used in both new and existing floor drains. If you have noticed a not-so-pleasant odor in spaces where there are floor drains, check to make sure you don’t have a dry trap and do have a functioning trap primer. For more information, or if you have questions about which trap primer type is the right solution for your situation, contact Steve List at 717.434.1557 or email him. Also check out JDB Engineering’s list of plumbing engineering services. It’s nice to know more about trap primers and how they are responsible for stopping the emission of sewer gases. I believe that while this is an important part for residential properties, it is the same with commercial floor drains, especially with restaurants, as this can affect the cleanliness of the area where the food is prepared. Thanks for this information about the trap primer and its importance. 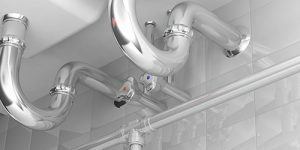 After many years of dealing with the odor and pouring water down drains to prevent the odor, why isn’t this standard plumbing practice? So stone age…….. Thank you for this thorough yet concise explanation of trap primers. I agree with Daniel above, wondering why all drains don’t come standard with these.